Learn more about FORC. Get our new ebook. First-order-reversal-curve (FORC) measurements provide far more information than a simple hysteresis loop. They have become indispensable for characterizing interactions and coercivity distributions in a wide array of magnetic materials. 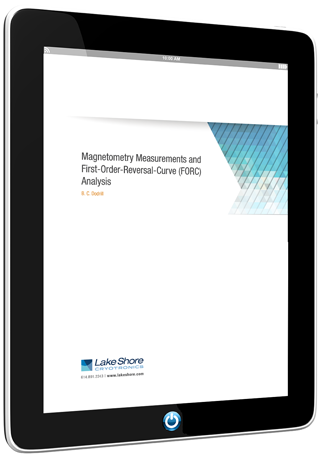 To explore how this elegant material measurement and characterization tool can benefit your magnetics research, submit your info and receive our new, 36-page ebook today.